Inventory, or in this case, the lack of, continues to be a driving factor of the rise in Lee County's median price. All property types saw an increase, from single family homes to condo's. 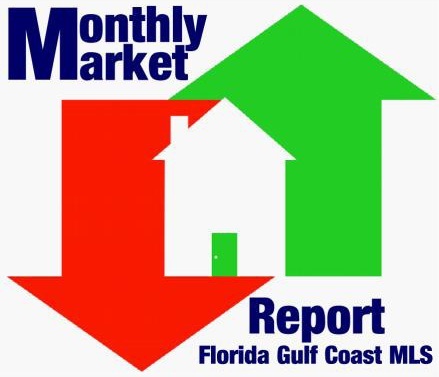 We also saw a decrease in the total amount of homes sold versus February 2013. Though volume year over year decreased, it was still an increase over total sold homes in January 2014. Distressed properties (short sales and foreclosures) represented 21.1% of home sales with traditional sales making up the remaining 78.9%. The number of distressed properties continues to decline as the market and overall economy improves. Seasonal activity has been strong this year for both buyers and sellers alike. Lower priced homes are moving very quickly and many people do not get a second chance to look at properties that are priced right. Buyers are having to act swiftly or miss out. In 2013 homes under $300,000 represented a 66% market share. For the month of February that was down to 39%. This market segment continues to shrink as more buyers have realized the time to buy is now. The majority of sales in Collier county are either below $300,000 or above $500,000. The mid market segment is very stable. Well that's it for this months update. To work with one of our real estate professionals simply call 239.671.4046 or click the contact us button to your right. We will get you the right home, in the right place, for the right price...that's the Pinnacle Promise!